attacking with knives, guns, clubs or any other type of weapon. Workers can be exposed to violence from a range of sources: clients, customers, patients, people in custody and members of the public. The Preventing and responding to work-related violence guide have information on managing the risks of work-related violence. Work-related violence can fall within the scope of various state and federal laws. Physical assault, robbery, sexual assault and threats to harm someone should be referred to NSW Police. Violence, fatigue, bullying, stress, work pressure, a poor work environment or a traumatic event can cause health issues leading to psychological injury. Mental (psychological) health, just like physical health, is an important part of work health and safety (WHS). It is important to manage risks associated with exposure to hazards at work that could result in physical or psychological harm. 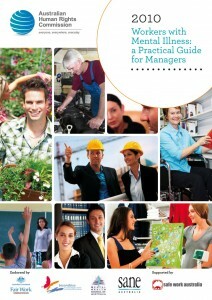 These resources are designed to assist you in managing mental health in your workplace. Psychological hazards should be managed in the same way as physical hazards. 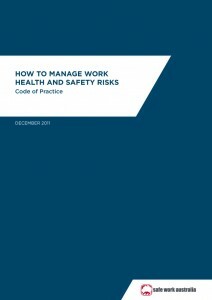 The how to manage work health and safety risks code of practice provides guidance on risk management. The preventing psychological injury fact sheet tells you how to identify, assess and control psychological health risks in the workplace. HeadsUp is a website that gives individuals and employers free tools and resources to take action to create mentally healthy workplaces. The People at Work Project is a highly regarded online assessment tool to measure different workplace characteristics that can influence worker health and well-being. It was developed in partnership with leading universities and state and federal bodies. This seven-minute video outlines how a Queensland-based funeral company successfully improved workplace mental health using the People at Work project. The stress tip sheets provide information on managing the organisational risk factors known to contribute to the risk of psychological injury. Small and medium business owners and managers can use the Business in Mind booklet and DVD which has case studies and tips from experts. It is also available as an online resource. The Human Rights Commission has also published a practical guide for managers to support workers with mental illness and promote a safe and healthy work environment. And the guidelines for workplace prevention of mental health problems list actions you could take. Here is a list of links and fact sheets designed to help people with a mental illness, as well as their friends and family. WorkCover does not provide crisis support and the information provided is guidance only. In an emergency, call 000 immediately. The Alive and well website has further information for rural workers. Numerous resources are available at NSW Health Policy and Guidelines.